Pre-Construction. To be built. Dunedin Cove is our newest Luxury Community. 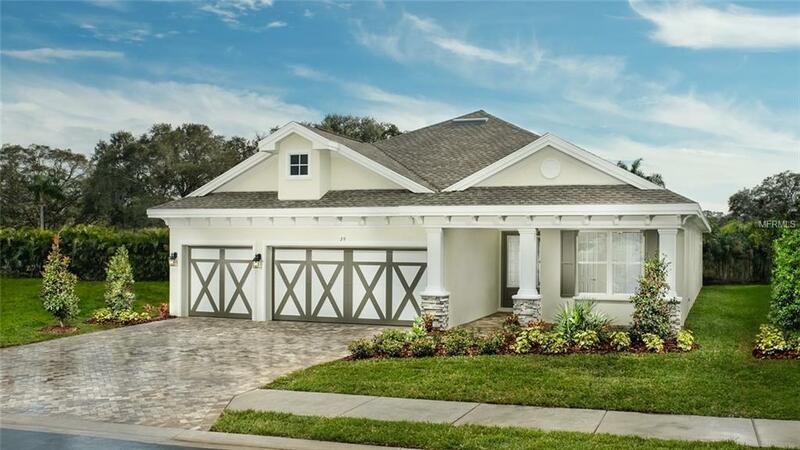 This new gated community of 20 homes is located only minutes from charming downtown Dunedin. Enjoy the beaches, the downtown restaurants, craft brewpubs, boutiques & outdoor festivals offered in this wonderful city. As close as the community is to downtown, it is very private nestled behind hundreds of feet of conservation, mature landscaping & a pond with a back drop of tropical palm trees. A brick paver entranceway with arched gates, stone columns, mature landscaping & a soaring fountain all combine to create a very soothing, inviting atmosphere. Many versions of this floor plan offer ultimate flexibility; Choose which version best suits your needs. With an 11'x16' breakfast nook the size of a dining room, the second dining room can easiliy be converted to a fifth bedroom or a study. A large bonus room off the foyer is a fabulous room that offers so many choices such as a secondary family room, a game room, or an in-law suite. Plenty of room on this home site for a pool. Pictures are of our model home & some upgrades shown are not included. There is still time to select your colors! Other inventory homes currently under construction & available for a quicker move in date. Don't miss the opportunity to call beautiful Dunedin Cove home! GPS Map 93 Lexington Drive Dunedin 34698 for directions to the community. Lexington Drive is located off of Union St. 1/2 mile West of the intersection of Keene Rd & Union St. Grand Opening Pricing will not last long!